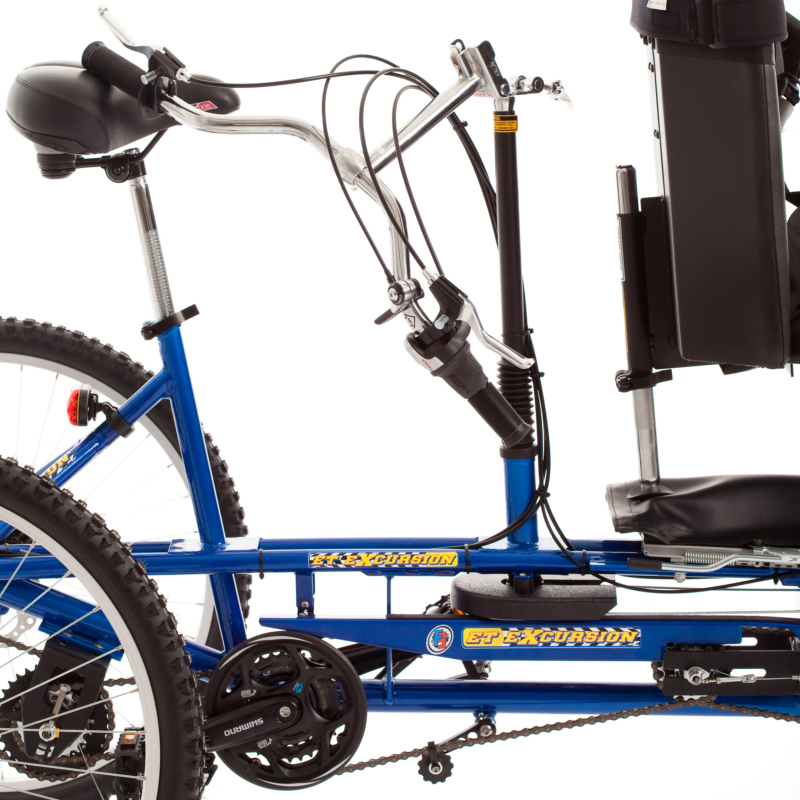 For being a bike built for two, the Tandem is both lightweight and easy-to-control. 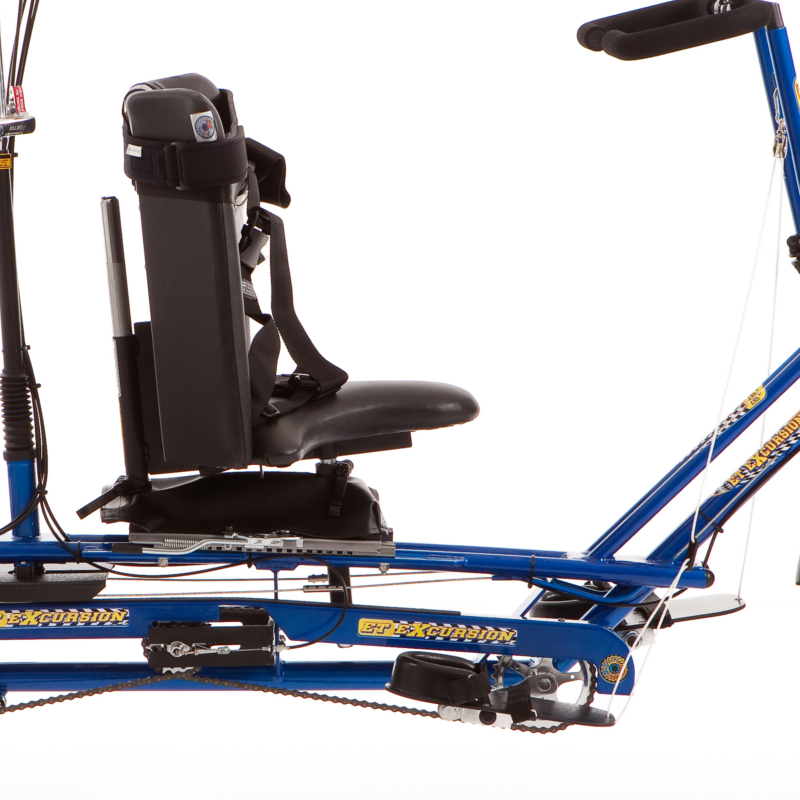 The Cable-Actuated Rear Steering™ system allows the driver to make precise maneuvers and turn sharply from the back. 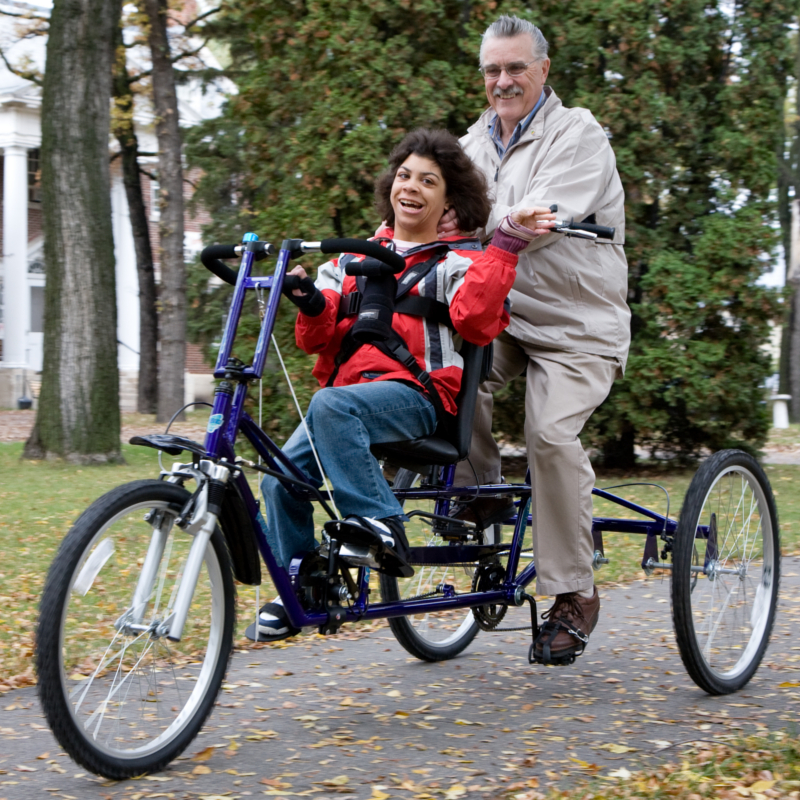 The front rider, whether visually or physically challenged, can still enjoy all the benefits of cycling, including reciprocal movement of the legs and a fresh breeze in their face. 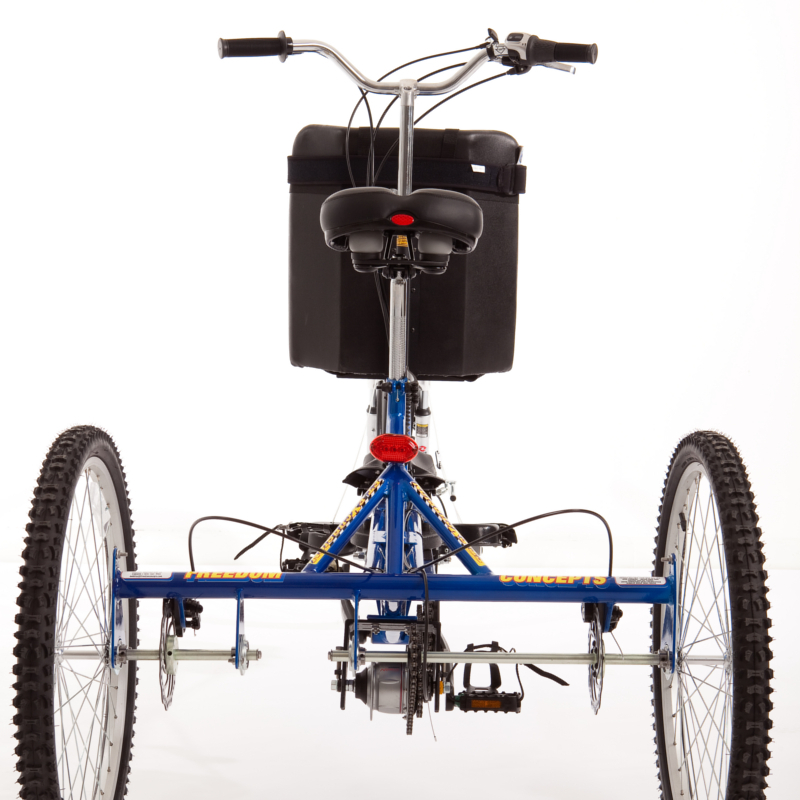 Additionally, the rear rider has full control over the front rider’s pedals – with the ability to engage or disengage the pedals with the flick of a switch. 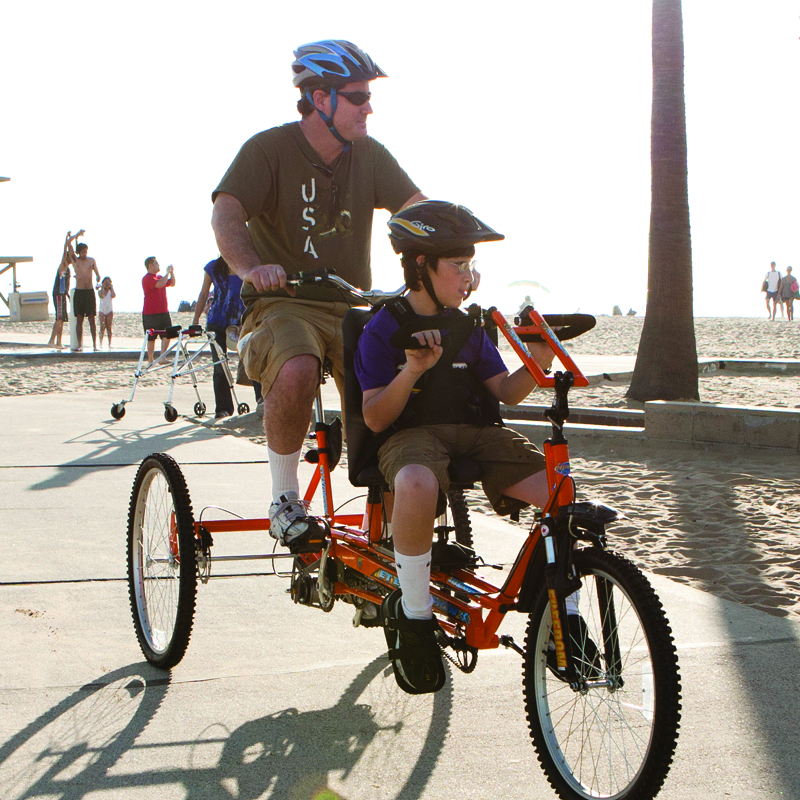 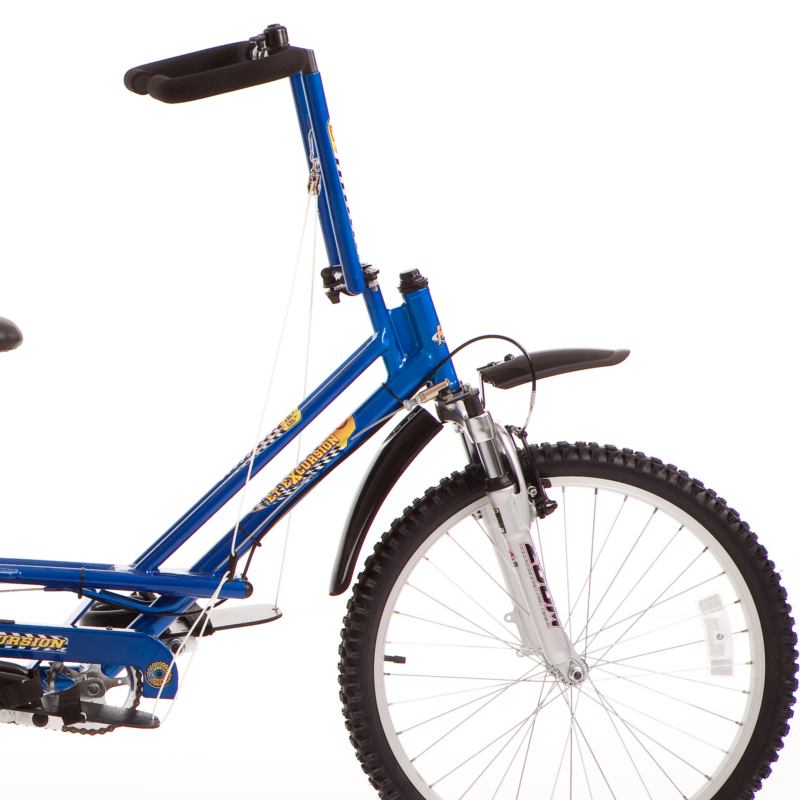 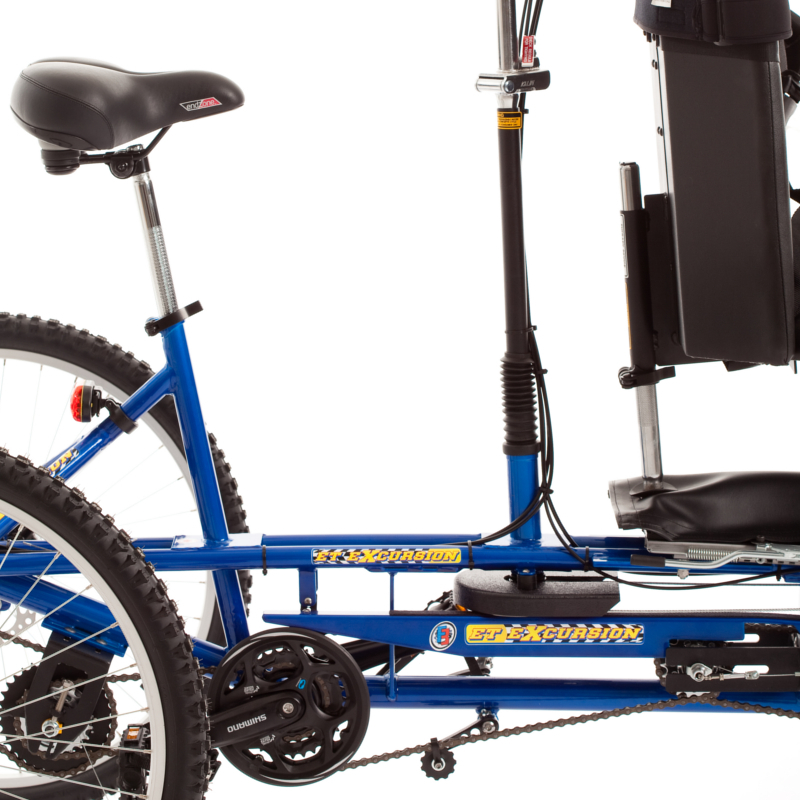 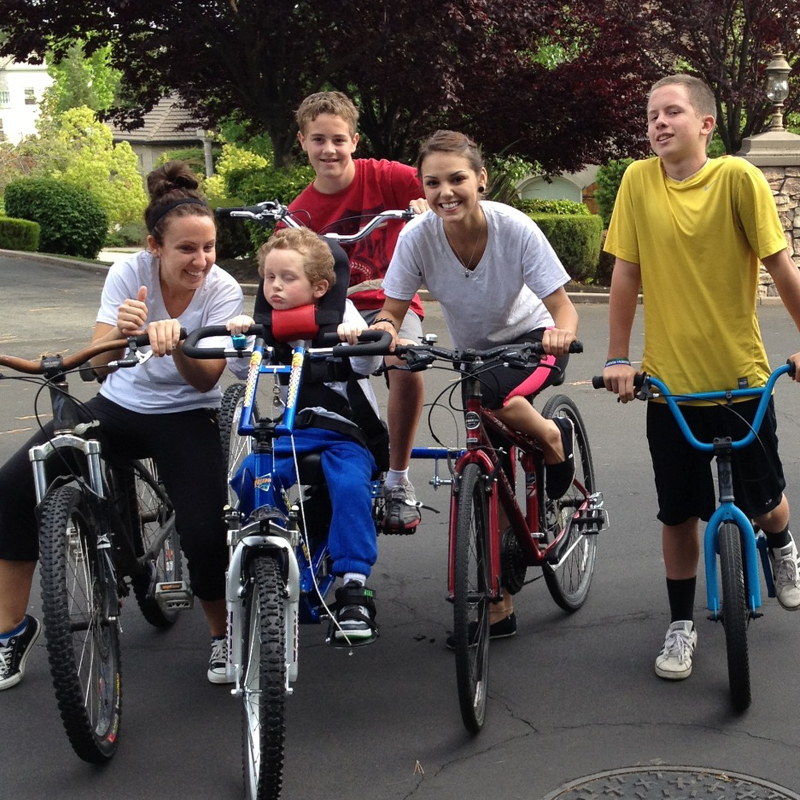 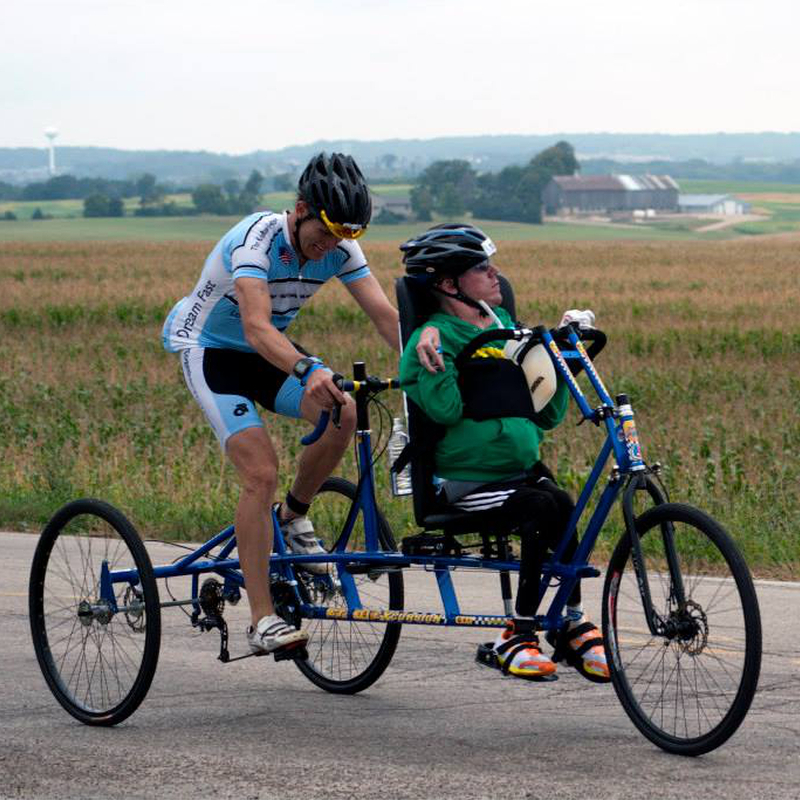 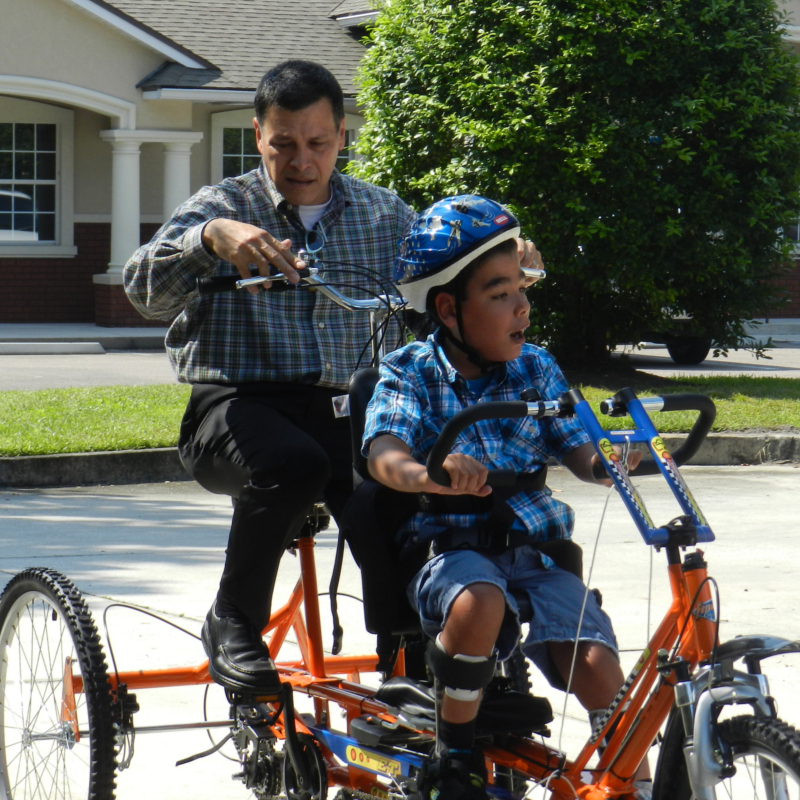 Each Tandem come equipped with supportive seating systems that accommodate children or adults, and like all Freedom Concepts bikes comes equipped with several quick release devices that make adjustments quick and easy.